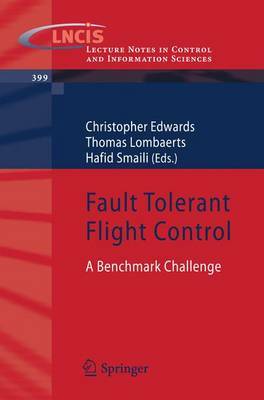 The European Flight Mechanics Action Group FM-AG(16) on Fault Tolerant C- trol, established in 2004 and concluded in 2008, represented a collaboration invo- ing thirteen European partners from industry, universities and research establi- ments under the auspices of the Group for Aeronautical Research and Technology 1 in Europe (GARTEUR) program . In FM-AG(16) the following organizations p- ticipated: * Research Establishments - Centro Italiano Ricerche Aerospaziali (CIRA, Capua, Italy) - Deutsches Zentrum fur Luft-und Raumfahrt (DLR, Oberpfaffenhofen) - Defence Science and Technology Laboratory (DSTL, United Kingdom) - Netherlands National Aerospace Laboratory (NLR, Amsterdam) * Industry - QinetiQ (Bedford, United Kingdom) - Airbus (Toulouse, France) * Universities - Bordeaux University (LAPS, Bordeaux, France) - Delft University of Technology (DUT, Delft, the Netherlands) * Faculty of Aerospace Engineering (DUT-AE) * Delft Center of Systems and Control (DUT-DCSC) - Lille University (USTL, Lille, France) - University of Cambridge (UCAM, Cambridge, United Kingdom) 1 The Group for Aeronautical Research and Technology in EURope (GARTEUR) was formed in 1973 and has as member countries: France, Germany, the Netherlands, Spain, Sweden and the United Kingdom. According to its Memorandum of Understanding, the mission of GARTEUR is to mobilize, for the mutual bene?t of the GARTEUR member countries, their scienti?c and technical skills, human resources, and facilities in the ?eld of aeronautical research and technology.